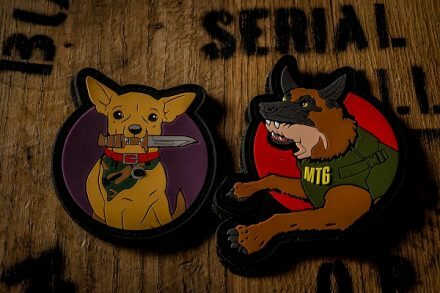 The latest addition to We Like Shooting’s Meal Team 6 patch collection, Que-9 is based on the Taco Bell Chihuahua; his story is, The King found him as a pup during an anti-cartel operation. Like the last MT6 patch set, the Que-9 set consists of a ‘mascot’ design and an ‘operator’ design, with both designs being featured on a Velcro-backed morale patch and sticker. The rest of the set can be found here. Aside from The King and Que-9, We Like Shooting also has the KFC Colonel and Wendy from Wendy’s. This entry was posted on Wednesday, October 10th, 2018 at 00:03	and is filed under Morale. You can follow any responses to this entry through the RSS 2.0 feed. Both comments and pings are currently closed.